I am so groggy. I’ve had a headache since I opened my eyes for the first time this morning, at 8am. I then proceeded to pass out for another few hours. I was supposed to wake up by 11 and call hubby. Instead, I slept til 2:30pm. 2:30! Can you believe that? That’s like all freaking day. To make matters worse, I then passed out at about 5:15pm. I took a nap. A NAP?! How did I even find the audacity to nap after sleeping til 2? I don’t know. But I slept til 6pm. It’s now 12:33am. And I’m going right to bed. I went to a friend’s house for dinner. I wasn’t much of the conversationalist. I just sort of laughed at everything and watched television. We played Taboo, and although my team won, I don’t feel like I was mentally on my game. I’m just sooo groggy. I think I’m a little overworked. But, it’s back to work on Monday and I don’t really have time to get it together. Do you ever feel that way? Like you have a million things to do and not enough time? I would love a vacation to some Caribbean island somewhere. A place where time doesn’t exist for a bit. But it’ll have to wait til the summer. For now, I’m going to just hope that I don’t completely fall apart. Did You See? It’s LIVE! 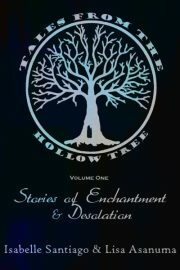 Own a beautifully formatted .pdf copy of our very first collection.